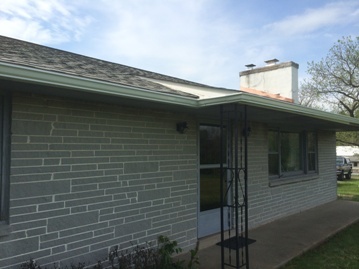 RANCH HOUSE THAT STILL HAD THE ORIGINAL ROOF ON IT ! 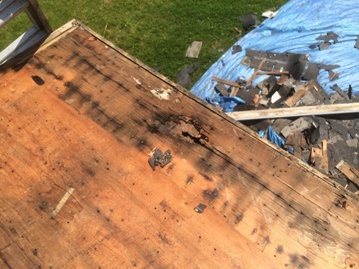 MUST HAVE BEEN 40 YEARS OLD. 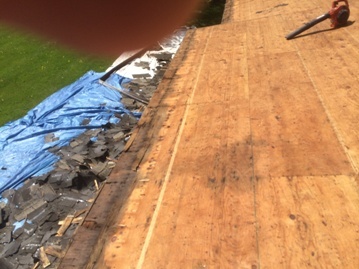 WIND DAMAGE HAD FINISHED IT OFF RECENTLY. 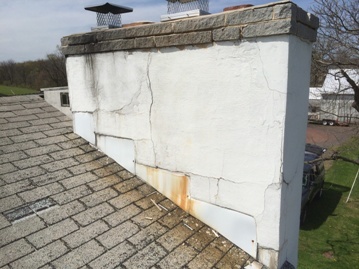 CHIMNEY WILL NEED MASONRY WORK AFTER ROOFING AND FLASHING ARE COMPLETE. 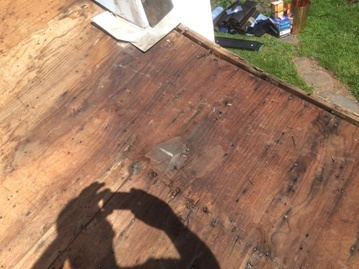 DECKING WAS BAD AT THE EAVES AND AROUND THE CHIMNEY FROM YEARS OF ICE & SNOW AND NO ICE AND WATER SHIELD. 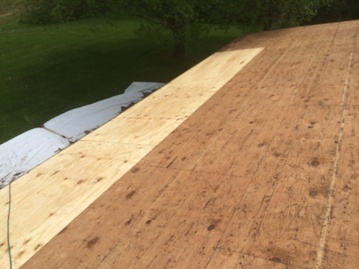 FACIA BOARDS WERE ROTTED IN SPOTS AND REPLACED WITH PRIMED LUMBER. 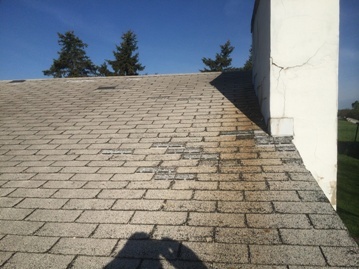 ICE & WATER SHIELD INSTALLED TO EAVES AND AROUND THE CHIMNEY. 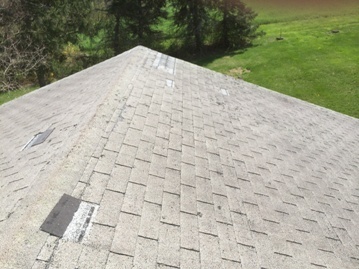 30LB FELT PAPER INSTALLED TO THE REST OF THE ROOF. 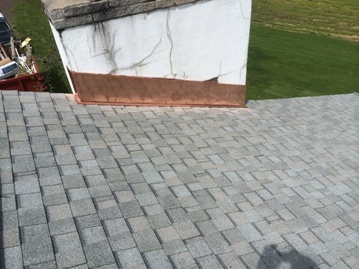 NEW REGLET CUT COPPER COUNTER FLASHING INSTALLED. 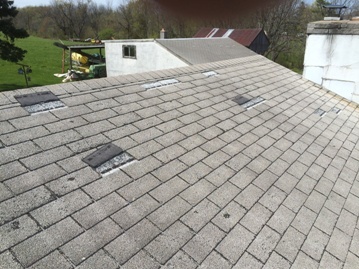 NEW RIDGE VENT SYSTEM INSTALLED. 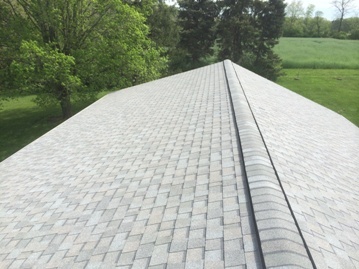 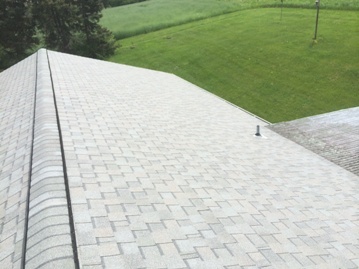 CERTAINTEED LANDMARK COBBLESTONE GREY SHINGLES INSTALLED. 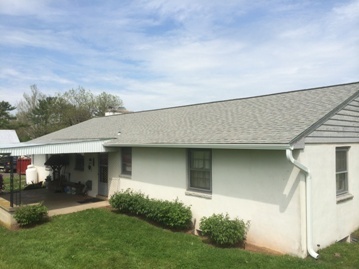 NEW 5″ K TYPE SEAMLESS GUTTERS WERE INSTALLED TO THE ENTIRE HOUSE ALONG WITH 3″X4″ OVERSIZED DOWNSPOUTS FOR BETTER DRAINAGE. 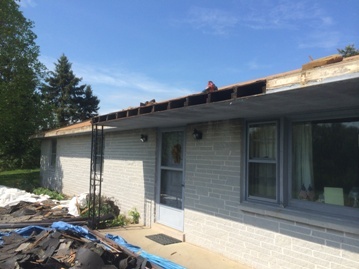 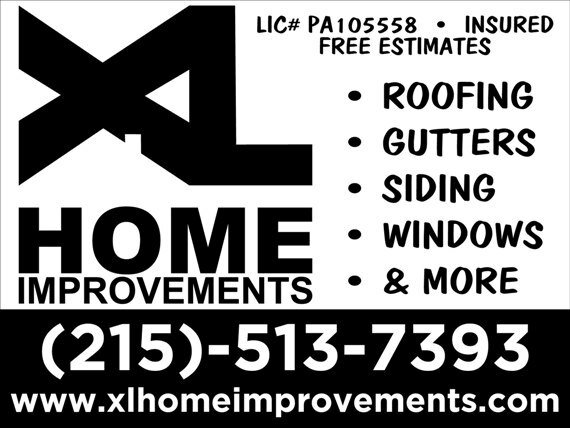 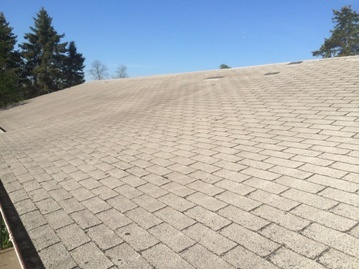 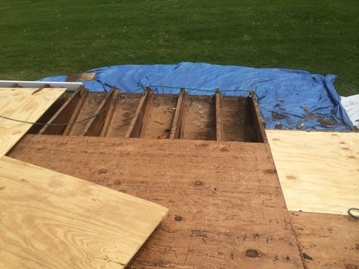 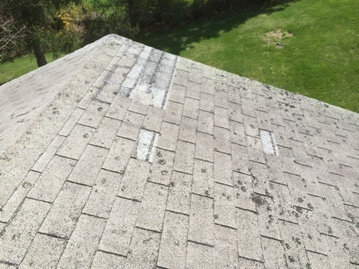 This entry was posted in GUTTERS, ROOF REPLACEMENT on May 25, 2014 by Rut327.